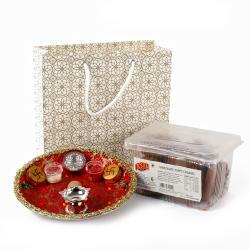 Gift your loved one this puja special thali which has 2 containers for Roli and Chawal. The thali is decorated with a red colour printed fabric with matching lace looks beautiful. 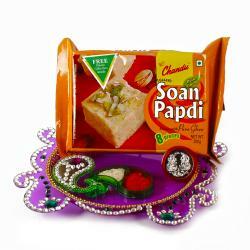 This special thali can be placed in mandir or can be used on some auspicious occasions. 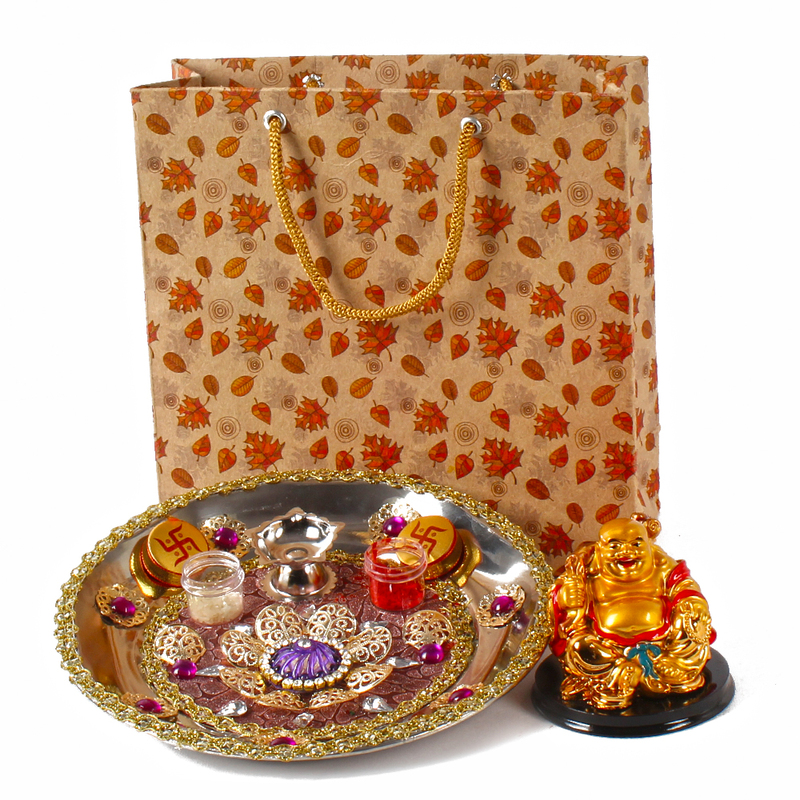 The overall look of the thali is very classy which will be appreciated for its looks.This is a fabulous hamper that comprises of Laughing budha witha Gift bag.The laughing Buddha is regarded as one of the most auspicious Gods of wealth. 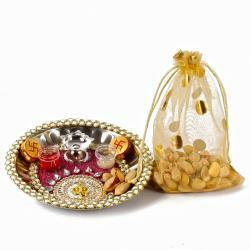 It brings prosperity, success and financial gains to the house.This special thali hamper will be treasured for the rest of the life. 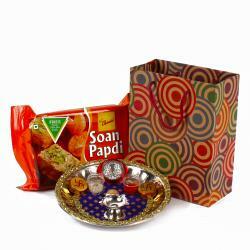 Product Includes: Steel Decorated Thali and Free Roli Chawal, Laughing buddha along with Gift Paper Bag.